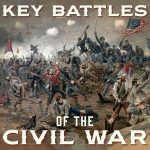 The significance of the Battle of Vicksburg had to do with it being a major turning point in the American Civil War but also in the career of Maj. Gen. Ulysses S. Grant. It was through this battle that Confederate army was split in half. As a result, Grant boosted his reputation and ultimately earned the position of General-in-Chief of the Union army. That afternoon Grant and Pemberton met to discuss the possibility of the latter’s surrender. Although they could not agree on terms, Grant promised to send a letter that night giving final terms. In that letter, he proposed paroling, instead of imprisoning, Pemberton’s soldiers. Grant apparently made that concession, which Pemberton had requested, to save Union transportation resources and to encourage desertions by the freed and demoralized rebel troops. In fact, Pemberton’s signalmen had decoded Porter’s signals to Grant that he lacked adequate vessels to transport almost thirty thousand prisoners to the North, so Pemberton held out for parole rather than imprisonment. Grant had little choice in the matter. Pemberton accepted Grant’s offer of parole, and his July 4 surrender of his 29,500-man army (along with 172 guns and sixty thousand rifles) made the national holiday a memorable one for the North—especially in conjunction with Lee’s defeat at Gettysburg on July 1–3. 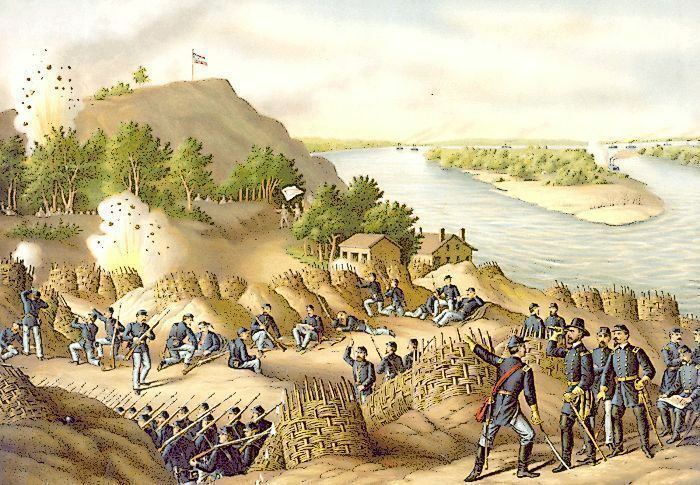 The battle of Vicksburg significance and result of its fall, the Confederate commander at Port Hudson surrendered his six thousand soldiers to Banks on July 9, thereby relinquishing the last Confederate position on the Mississippi. President Davis countermanded. Pemberton switched to staggered furloughs—after which most of his soldiers did not reappear to be exchanged for Union prisoners captured elsewhere. The deserting troops became a public safety hazard throughout Mississippi, and Pemberton ordered railroad depot guards to shoot them if they did not leave trains on which they had swarmed to return home. Unfortunately for the Union, several thousand Confederates violated their paroles and later resumed fighting even though they had not been exchanged under the terms of their paroles. After the fall of Vicksburg, Grant sent Sherman back to Jackson to drive out Johnston and his troops and complete its destruction. As early as July 3, Grant had wired Sherman of the anticipated surrender and told him to “make your calculations to attack Johnston; destroy the railroad north of Jackson.” The first of Sherman’s fifty-thousand-man force left their lines east of Vicksburg on July 5, approaching Jackson in three prongs by July 9. Besieged and bombarded, Johnston evacuated Jackson on July 16 and retreated to middle Alabama. By July 19 Sherman had advanced twelve miles east of Jackson to Brandon. Sherman’s first successful independent command completed its mission by destroying all railroads within fifty miles of Jackson as well as what little of value remained in that unfortunate town. From May 1 at Port Gibson through the mid-July return to Jackson, the Union offensive of Grant and Banks resulted in the fall of Vicksburg, Port Hudson, and Jackson, as well as the capture of 241 guns in Grant’s campaign and another fifty-one at Port Hudson—all at a cost of one-third the losses suffered by the Confederates. Grant’s and Banks’s battlefield casualties (killed, wounded, missing, or captured) totaled 14,846 while the Confederate casualties were 47,625. Of the 2,153 captured Confederate officers, fifteen were generals. The casualty ratio for Grant’s battle of Vicksburg significance alone is even more impressive. His troops suffered 9,400 casualties while inflicting more than 40,000 on the enemy. At Vicksburg, they captured an astounding sixty thousand rifles, mostly excellent British Enfields the rebels had imported. Considering that Grant was on the offensive, that he achieved his strategic goals, and that the defenders should have had a tactical advantage, his 1:4 casualty ratio is an amazing tribute to his generalship.